I won a pair of AFTERSHOKZ Bluez 2 Wireless Headphones via Athletics Weekly, which arrived in the post last week. Within seconds of shutting the front door on the postman, I’d opened the AFTERSHOKZ Blue 2 Wireless Headphones box, and in very little time I’d connected them to my computer to charge via the USB port. I’ve used the wireless headphones a few times since I received them. Audio quality is very good. Bluetooth range is about 4 metres. You can make and receive calls via the headset. About 6 hours battery life. Not comfortable to wear with glasses. Lots of sound leakage at higher volume. Would I buy the AFTERSHOKZ Blue 2 Wireless Headphones? No, and most definitely not for £90. 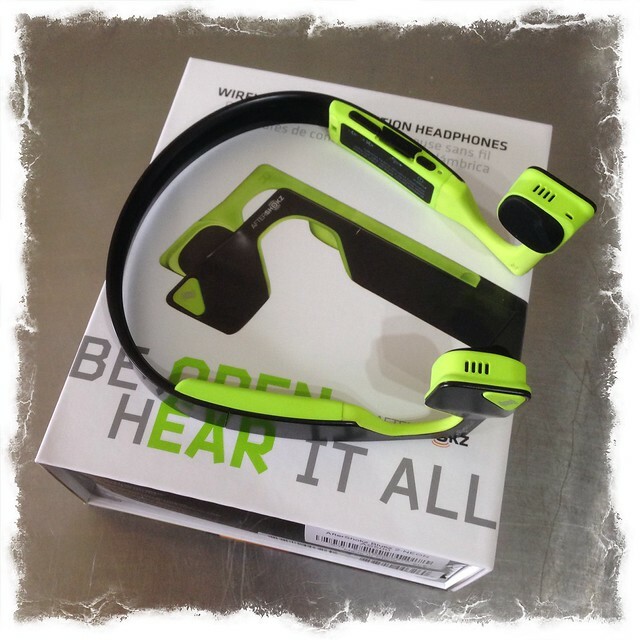 This entry was posted in Gadgets and Tech and tagged AFTERSHOKZ Bluez 2 on May 23, 2015 by Richard.